Richfeel is a brand that has become synonymous with everything trichology. 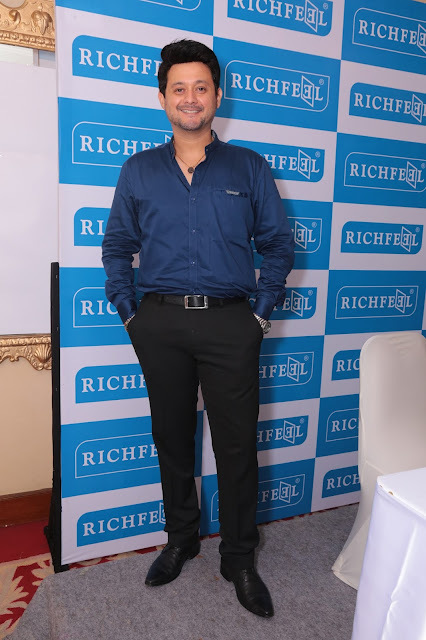 Founded by Dr. Apoorva and Dr. Sonal Shah, Richfeel has been in the field of providing expert hair care, beauty, fitness and other personal care since the past 30 years now. Spread across 28 cities, it offers a huge range of personal care products like shampoos, facial kits, oils, food supplements, etc. 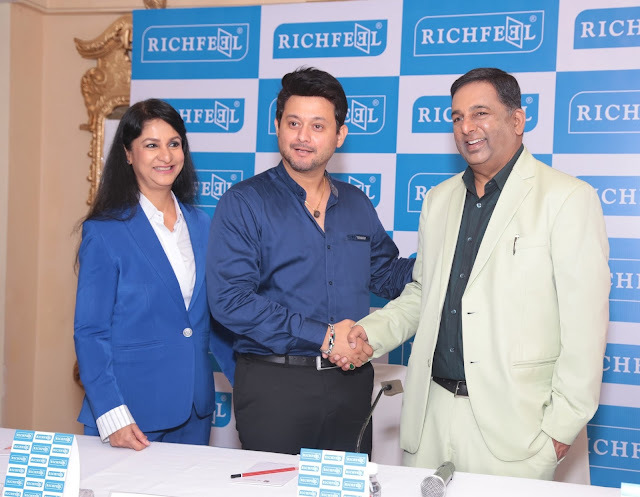 Due to its expansion and premiumizatin plans and to target the youth to mid-age segment, Richfeel roped in popular television actor, Swwapnil Joshi,as its brand ambassador. Swwapnil Joshi is one of the most promising faces in Hindi and Marathi television, and his strong fan and digital following in conjunction with his youth appeal led to his selection as the brand’s Indian face. 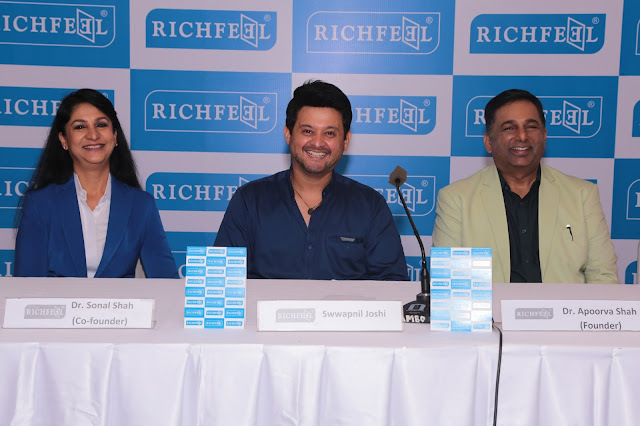 Dr. Apoorva Shah, founder of Richfeel feels that Swwapnil's vibrant persona, pan-India appeal and humble attitude makes him a great fit for their brand. The press conference took place at Hotel Ambassador (Shiva) in Churchgate, Mumbai on the 6th of June 2017 amidst press and bloggers. Guess what I have worked with Richfeel after freshly graduating!